CASE Construction Equipment,​ Southeastern Equipment​ and Paladin Attachments​ provided equipment and product support to Team Rubicon​ as part of MOBEX Motor City​, a five-day training exercise that trained Team Rubicon members in damage assessment, chainsaw use and heavy equipment operation. Command, general staff and strike team training also took place as part of Team Rubicon’s largest training mobilization to date. CASE and Southeastern Equipment provided three excavators and three skid steers to the event, and Paladin Attachments donated two grapple buckets to Team Rubicon for use in future training and disaster response operations. The work, performed in conjunction with Motor City Blight Busters​, included the clearing of trees and other debris to return abandoned lots to nature in Detroit’s Brightmoor neighborhood. 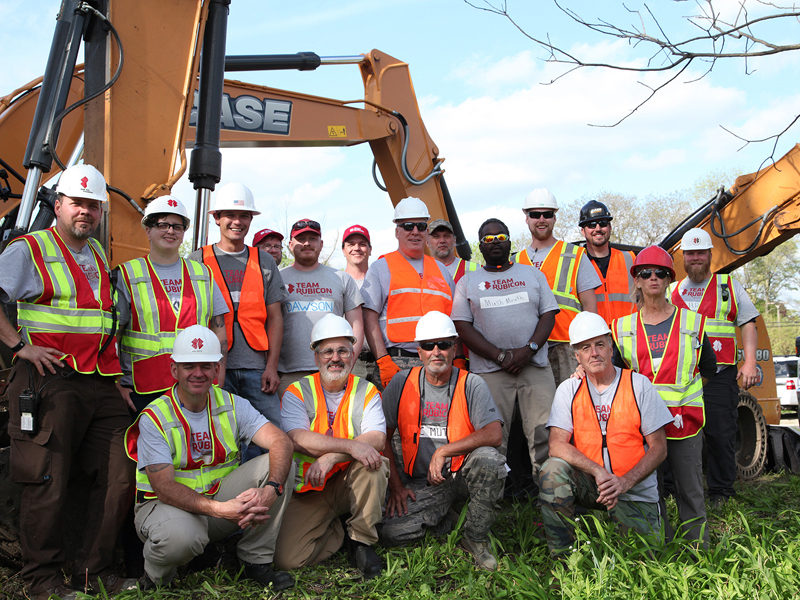 To learn more about Team Rubicon and its disaster response work, visit TeamRubiconUSA.org​. For more on CASE, visit CaseCE.com​. Southeastern Equipment, a heavy equipment dealer in Michigan, Ohio, Indiana and Kentucky, can be found at SoutheasternEquip.com​. And learn more about Paladin Attachments at PaladinAttachments.com​.